Once a cucumber is picked from the vine, it’s “use it or lose it” and pickling is one of the best ways to “use” a cucumber and still be able to enjoy it later! As summer gardens wind down, the bounty may begin to pile higher and higher. A successful garden requires much planning, nurturing, and hard labor. Waste any of the fruits of the harvest would represent much lost effort. Avoid waste by perfecting your food preservation skills. Many home-grown garden products can be frozen or canned, but cucumbers do not have good results from these general preservation methods. Turn to pickling to keep them crisp and delicious for months to come. 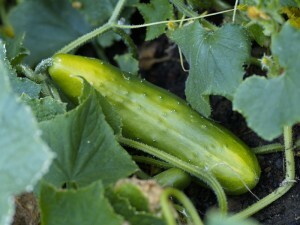 Begin by washing and slicing the cucumbers. Place them in a bowl, slice the onions, and add them to the bowl. Sprinkle the cucumbers and onions with salt and then cover them with ice. 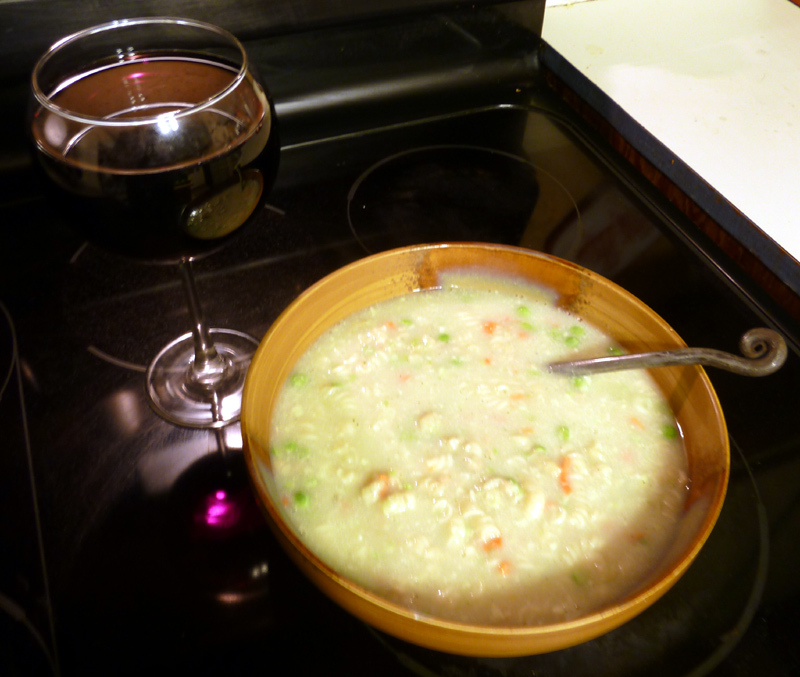 Allow the bowl to stand while the ice melts, approximately 2-1/2 or 3 hours. 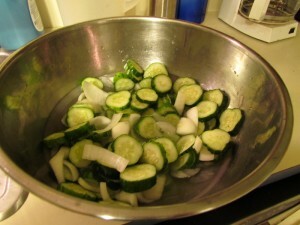 Drain the melted ice off the cucumbers and onions and place them in a pan for cooking. Add the spices, vinegar and sugar, then heat just to boiling. It is a good idea to place the clean jars in the oven at 250 degrees while the cucumber mixture is heating up. Having the jars hot helps to ensure that they are sterilized as well as to prevent a temperature contrast between jar and pickles when filling. 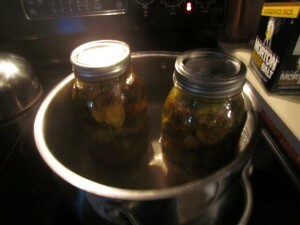 Turn the heat off and spoon the cucumbers, onions and juice into the clean jars. Pickles should have one-half inch of air space between the top of the pickle and juice mixture and the lid. Wipe the rims of the jars off with a clean damp paper towel and put the lids on the jars. It is often helpful to tighten the rim, then loosen it a quarter-turn in order to make sure air can escape. Fill the canning pot one-half to two-thirds full with water and heat to boiling. Fill a teapot or sauce pan with water and heat it as well in case you need additional water to cover the jars. When the water is boiling, place the filled jars in the boiling water, making sure they are submerged. Boil the filled jars for 15 minutes. Use a jar lifting utensil or tongs to remove the jars from the canning bath. Allow the jars to cool. Check the lids to ensure they have sealed and that there is now a concave shape and no pop or movement when the lid is pressed. Smile and enjoy the fruits of your harvest and the sweet crisp flavor of your new-found food preservation skills. 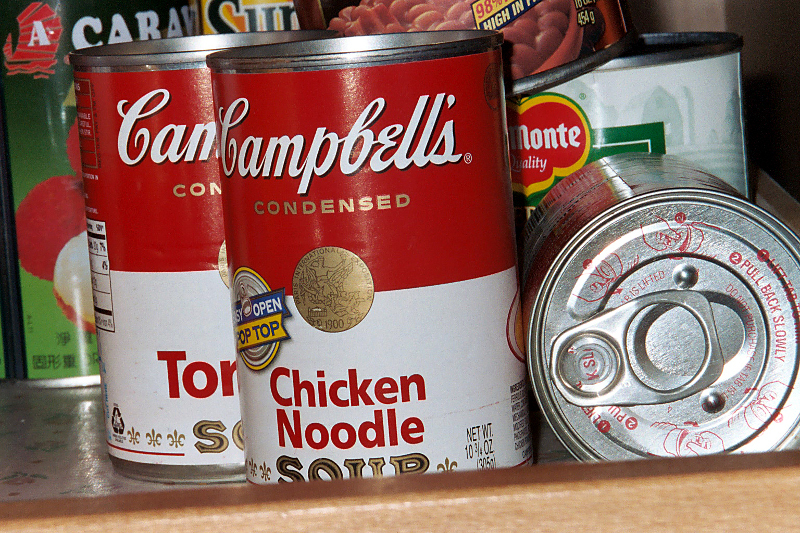 Canned foods like soup, vegetables, chile, and potted meats can last for years when stored in a cool dry place. Not quite. Sure, if you were to rush out and go from 0 to 100mph right away, it would undoubtedly put a dent into your wallet, but this is not necessary. The basics begin with establishing a supply sufficient to allow you to shelter in place for 3-days. If a natural disaster strikes, you should have enough food, water, energy (in the form of fuel, batteries, etc) cash, and first aid supplies for you to simply remain in your dwelling for 3-days and nights. If you’re prudent, you probably already have this. However if you’re the type who regularly discovers that it’s time for dinner and the pantry and refrigerator are bare, you’ve got some changes to make. Begin with a simple inventory of what you consume on a daily basis. If it’s just yourself, this may not be much, but if you have a spouse and kids and pets, you will also need to consider and take account of what they consume and use on a daily basis. Count everything: toilet paper, soap, toothpaste, food, fuel (in the form of gasoline, electricity, propane or natural gas) for transportation or to cook and heat things, water, as well as your normal day-to-day financial expenditures. At the end of your little 3-day experiment, add up all of these items and then look around your home. Do you have enough to last a few days without shopping? If not, it may be time to take an earlier than normal trip to the grocery store or supermarket to replace the things you already use on a daily basis. Make sure to get at least a weeks supply. From a budgetary perspective, you can treat this just as you would every other trip to the store. It may come a little bit early, but you’re not buying anything you wouldn’t normally buy anyway. The next step is to keep an eye on the levels of consumables left in your home as you go about your life. Now that you have 7 days of supplies laid out, don’t let it drop below the 3-day minimum threshold. Low on toilet paper? Time to take a trip to the store again. Pantry looking a bit empty? Replenish the food that’s been used. Only have 1 pack of AA batteries left? You know the drill: replace and replenish! If your budget doesn’t seem capable of handling the above, it’s time to reevaluate that as well. Financial preparedness is just as important, if not more so, than other forms of preparedness. The majority of people in the United States live paycheck to paycheck, or even worse on credit, and are literally one minor unexpected and unavoidable expense away from catastrophe. Don’t be one of those people. Once you have these basic staples squared away you can begin considering how to tackle the next step and have alternative energy or backup fuel sources, in addition to getting a first aid kit that is properly squared away. One step at a time you can ensure you’re able to survive any little hurdle life throws your way. Killing is a necessary part of hunting. Whether hunting animals for meat or harvesting flora for their edible parts, killing is a part of the act. But there are other reasons for killing when out among the leaves. 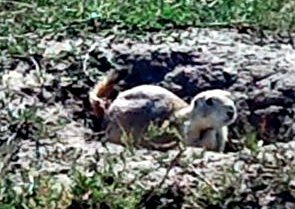 Varmints like this little prairie dog are destructive pests in many Plains States and portions of the Intermountain West. Many hikers, campers, backpackers, and even photographers, bird watchers, and outdoor enthusiasts go armed while outdoors. The federal government recently acknowledged the right of the public to go armed when visiting our national park system and other federal lands. When out in the wilderness, far from civilization and the rapid assistance it provides, one travels at their own peril. Man is not the only predator on this planet, and bears, lions, wolves, and other dangerous animals are threats that must be planned for should an encounter turn deadly. Hunting is a recreational sport while defense against wild critters is not. Yet, there are still more forms of killing, besides hunting, that are also recreational. Varmint control, a necessary evil in many parts of the nation, can be a challenging and rewarding pastime for outdoor enthusiasts. While I don’t normally shoot, trap, or kill anything I don’t intend to eat, many other outdoor enthusiasts enjoy pursuing coyotes, prairie dogs, feral hogs, and other invasive species. Farmer Frank recently returned from a feral hog hunt in Oklahoma where wild pigs are a horribly destructive and invasive bunch that have been driving out native (and often threatened or endangered) species, in addition to destroying acres upon acres of crops. And you know what? That’s OK. 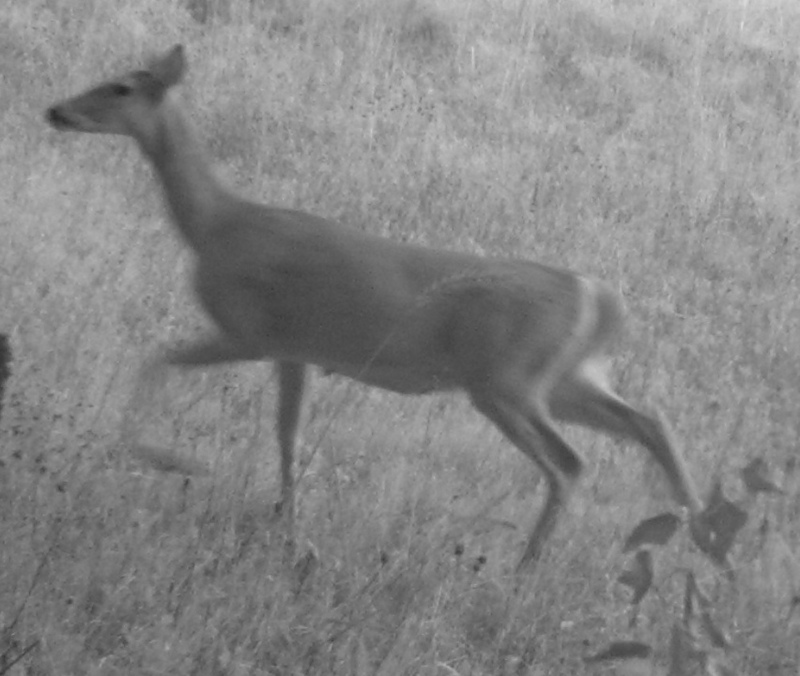 It may not be my cup of tea, but I recognize the importance of eliminating varmints. Some of his readers however were not so understanding. Some asked what was done with the carcasses of the hogs that were killed. The fact is, wild pigs are difficult enough to find and kill when pursuing a single boar or sow for meat. When the goal is to put a significant dent in the population, one has to be able to move quickly and silently to set up where they’re at and then move on to where they are heading next. Recovering and processing the carcass during the hot summer nights cannot always be done in a safe and timely manner. the local counties trap and blood-test their feral hogs to make sure there is no risk of brucellosis or anthrax. I’m not sure about all of Texas, but I know they don’t where I was in Oklahoma. If you want to put your family at risk of contracting brucellosis from eating infected pork from a feral hog, go ahead and be my guest, but don’t invite me for supper. While Frank is correct, feral hogs have been known to be carriers of these bacteria, there is virtually no risk of infection from consuming untested meat when it is properly prepared. The biggest risk of contracting brucellosis and anthrax is during the cleaning, butchering, and preparation of the animal. Brucellosis is primarily contracted through fluid transfer (contact with swine blood on an open cut or mucous membrane) or aerosol inhalation of contaminated flesh or fluids. By wearing protective gloves and following basic sanitary guidelines, the risk of infection is virtually nil. But I’ve gotten off topic. There is a critical difference between hunting game for meat, and hunting varmints in order to control the immense damage they cause, not just to human activity such as agriculture, but the often irreversible damage they leave in their wake when they drive out the native plants and animals. For one, the tactics used to hunt varmints differ greatly from the ethics of fair-chase hunters follow when pursuing deer, elk, antelope, and other tasty ungulates. Often times, outdoorsmen heading out for varmint control will say that they are hunting their quarry. I’m not so keen on using that term for that purpose. Setting up 200 yards away from a prairie dog town and eliminating the pests as fast as you can draw a bead on them when you have no intention of eating the little rodents is not hunting. It’s killing, and that distinction should be made clear. But it’s killing that is necessary and should not denigrate those who are skilled in executing the task. Favored meat of the entire internet, and much of the western world, this magical pork product has attained near mythic status, but it has many neglected gastronomical brothers and sisters that share the realm of cured meats. In the past, curing meats was one of the only ways to ensure protein availability throughout the entire year. 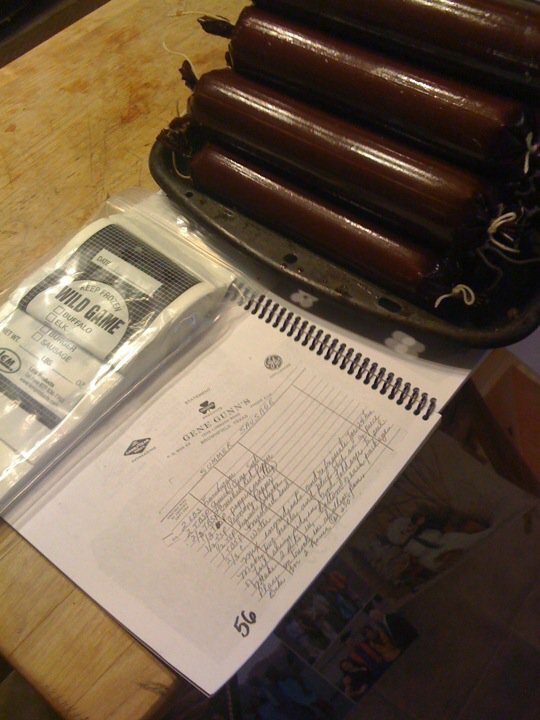 Piles of summer sausage processed, cased, and ready to be cooked according to my great grandmother’s recipe. In their book Ruhlman and Polcyn explore various recipes, some dating back thousands of years, and spare no expense in their explanations of the curing process. Most cured meats require one primary ingredient to preserve and change flesh and fat into a form that can be stored for months on end: Sodium Nitrite. Sodium Nitrite is normally blended with salt (one of the first preservatives used by humans) and dyed pink to prevent its confusion with plain salt (consumed in large amounts, sodium nitrite is toxic). This concoction, referred to as Prague Powder or pink salt is responsible not only for the salty flavor enhancement of cured meats, but also prevents the growth of the bacteria that causes botulism. Mixed with a tasty blend of spices and fresh pork, beef, venison, or various other types of meat, literally hundreds of different types of brat, ham, kielbasa, pastrami, bacon, and sausage can be created. The varieties are endless. Raw, cooked, dry, moist, smoked, aged, they all create tasty meat-confections that form the foundations of thousands and thousands of culinary delights. But there is a practical side, as we’ve mentioned above. Cured meats are more than a savory treat. For the outdoorsman, or preparedness minded individual, knowledge of the ancient art of charcuterie will allow that person to preserve meat without the aid of modern refrigeration. Your average dried salami, properly prepared, has a shelf life in excess of 12 months. In fact, some dry aged salamis will keep indefinitely if stored in a cool dry place. If you like bacon (and who doesn’t?) and you like various other preserved meats, and if you’ve got even the most basic kitchen skills, take some time and learn a bit about preserving your own meats. I’ve got a number of blog posts drafted and partially written where I’ll go more in depth into some of my favorite recipes, including spicy Italian breakfast sausage, various smoked meats, homemade bacon, and cooked cured meats like summer sausage. I’ve been out on the road for the past month and a half, working around the western half of North Dakota quite a bit. Life on the road comes with its own unique challenges. There is a lot of open land up in this area of the country. Towns are small, and those that are there are few and far between. Working out in the middle of nowhere, it’s still necessary to fuel up with good food and water. Food in these situations, by necessity, needs to be lightweight and portable, while still being mostly nutritious. Before heading out on the road, I contacted a number of freeze dried food companies to see what the options were. Mountain House is one of the biggest names in freeze dried foods, but recently their ubiquitous #10 cans have become rather scarce. 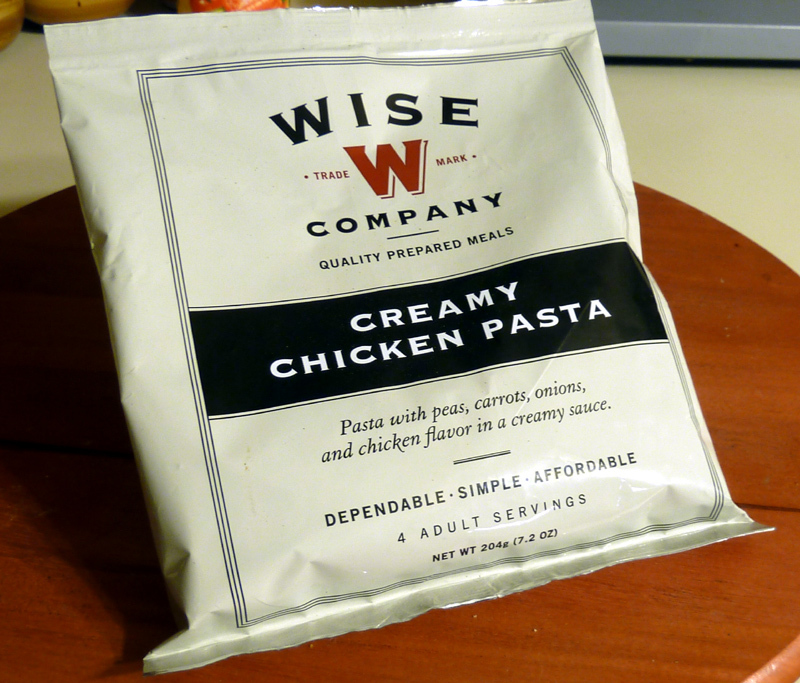 Instead, I managed to get a hold of Wise Foods and requested a few of their sample packs to see how they compared. Wise doesn’t use cans. Each of their pouches is designed to make just four servings, unlike the #10 cans which can absorb moisture once opened and begin to spoil rapidly. 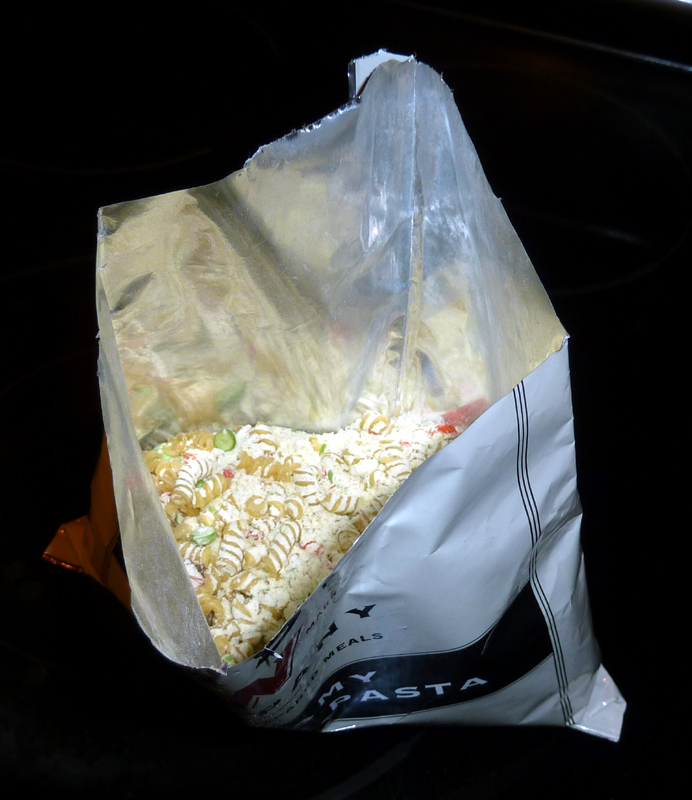 The only drawback to the family sized pouches that Wise uses is that you cannot easily cook the dish inside the pouch. 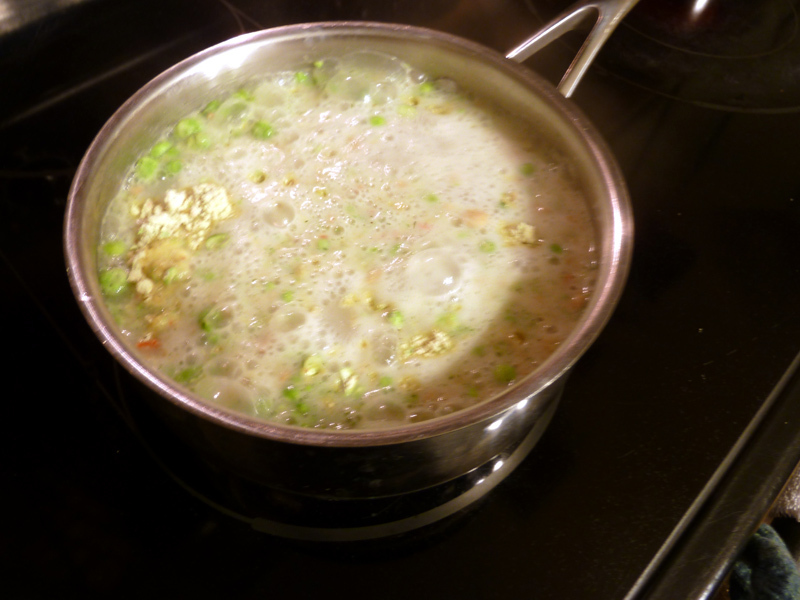 You need a decent sized saucepan in order to boil water and prepare the dish. While this means that Wise food pouches may not be ideal for ultralight backpackers, it is still quite easy to transport and prepare a meal while traveling by vehicle. Danny Eriksson from Wise called me a week or so after the samples arrived, and we discussed their product line. I asked about their pouches and was pleased to discover that they do indeed have the smaller ready-cook pouches. I didn’t get to test them, but if they function anything like the other brands on the market, they should be perfect for backpackers and hunters. Preparing any of the meals is quite simple. Start by measuring the prescribed amount of water into a saucepan. Bring it to a boil. 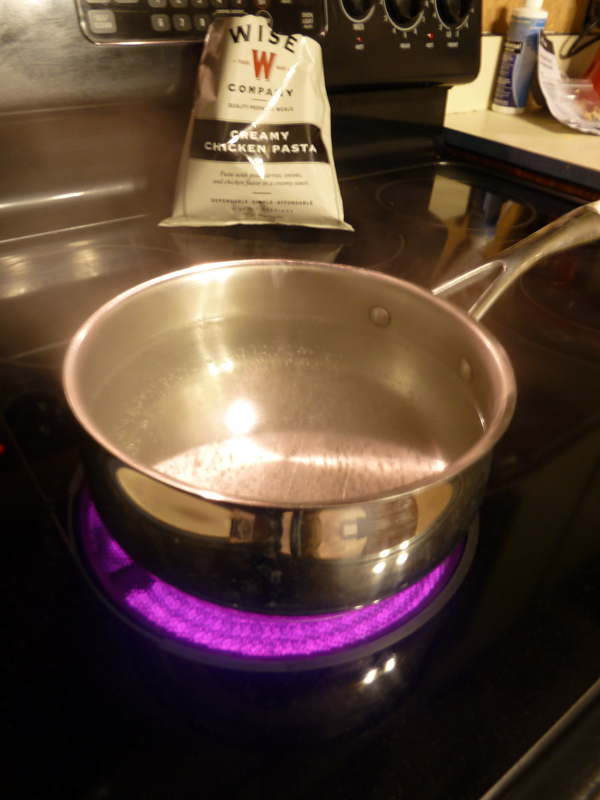 While I tested this on an electric range, my experience backpacking has shown that bringing this quantity of water to a boil is easily done within a few minutes using a small camp stove or even a penny stove. Once the water is boiling, remove from heat and add in the dehydrated food mix (or pour the water into the ready-cook pouch). Stir it in well and let it stand for 12-15 minutes or until the mix is hydrated all the way through. Dehydrated foods really are the “luxury” surival food. 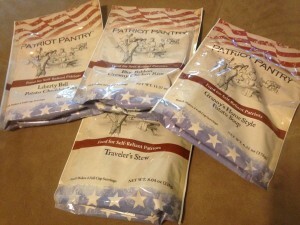 They’re tasty, almost as convenient as MREs, and much more compact and lightweight to carry around. Best of all, they have the longest shelf life of all food types used in long term storage. Wise foods advertises that each pouch has a 25 year shelf life, although it’s quite likely that they are capable of lasting much longer when stored in a cool location.